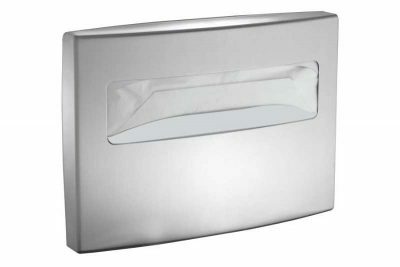 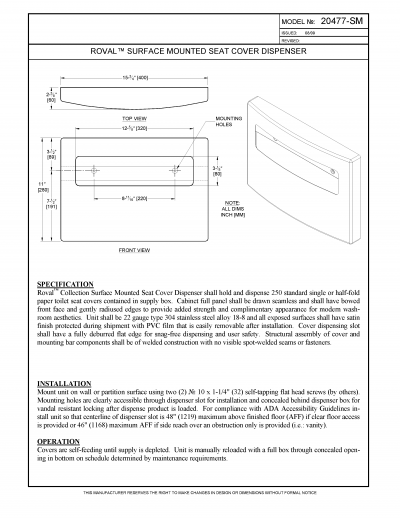 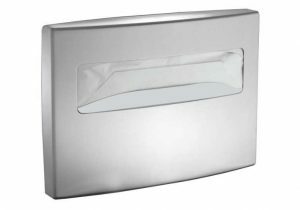 Roval Collection Surface Mounted Seat Cover Dispenser shall hold and dispense 250 standard single or half-fold paper toilet seat covers contained in supply box. 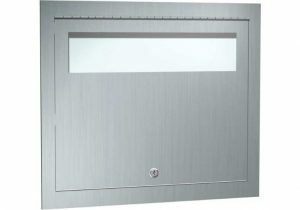 Cabinet full panel shall be drawn seamless and shall have bowed front face and gently radiused edges to provide added strength and complimentary appearance for modern washroom aesthetics. 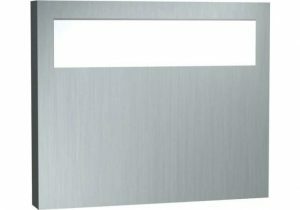 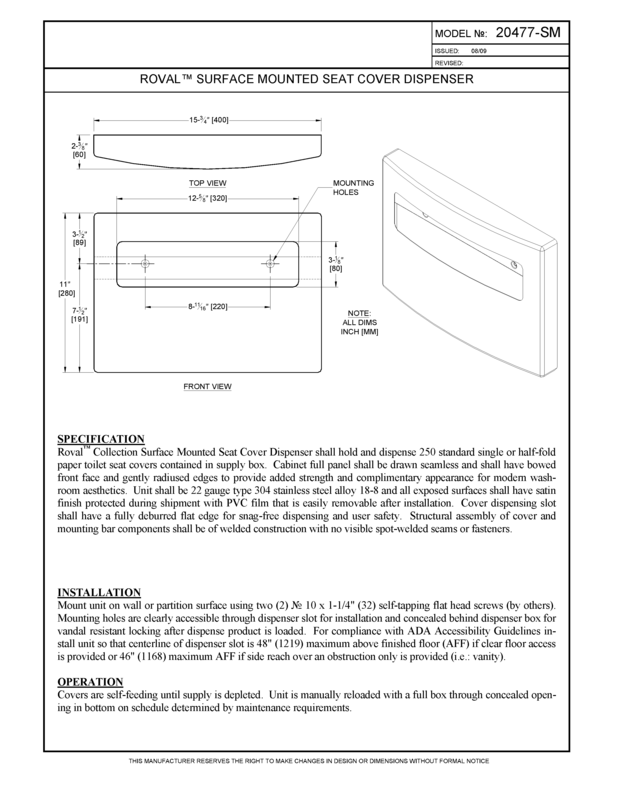 Unit shall be 22 gauge type 304 stainless steel alloy 18-8 and all exposed surfaces shall have satin finish protected during shipment with PVC film that is easily removable after installation. Cover dispensing slot shall have a fully deburred flat edge for snag-free dispensing and user safety. 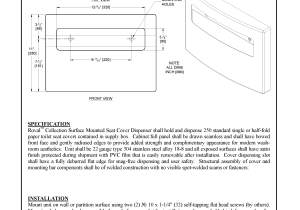 Structural assembly of cover and mounting bar components shall be of welded construction with no visible spot-welded seams or fasteners.